I have just spent my first year as FAME Team Creative Director and I can honestly say it’s been one of my career highlights. The four people who are going to be taking over from this year’s team better get ready for the ride of their lives! I can’t wait to see how the finalists deliver on Round II, it’s all to play for! Scores have been tallied, and the results are in: announcing the FAME Team finalists for 2019. Following a record rise in entries, a panel of industry experts (including current FAME Team Creative Director Jack Morton) were tasked with scoring this year’s digital submissions, before which the final 14 were ultimately selected. 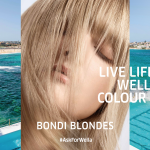 Each of the selected finalists will next flock to Sydney, for a live skills demonstration and model presentation, on Monday 18th February at La Biosthetique Academy. 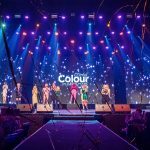 Across one day of judging, finalists will be required to present their work live before a panel of hairdressing heavyweights, drawing stimuli from three newly presented briefs. Sponsored by La Biosthetique, evo, Cloud Nine and Great Lengths, the year spanning program boasts a rich roster of mentors, stage opportunities and photographic shoots, with each FAME group travelling to London, Paris and Rome as part of their year in reign. Good luck to all of the talented finalists for 2019!